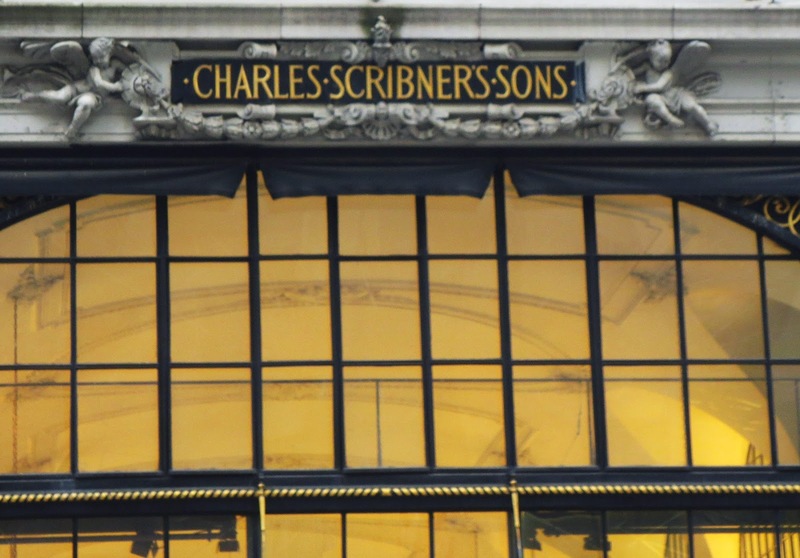 A little bit more than one hundred years ago, in 1913, the architect Ernest Flagg designed a beautiful Beaux-Arts showcase for the retail business of Charles Scribner’s Sons, book publishers. In 1893, the firm hired the then-unknown Flagg to design a corporate headquarters for them on lower Fifth Avenue at 21st Street. Ernest Flagg was married to Louise Charles Scribner Jr. sister. Brooklyn-born Flagg studied at the Ecole des Beaux-Arts in Paris as almost all architects in New York of that time. His studies were sponsored by his cousin Cornelius Vanderbilt . 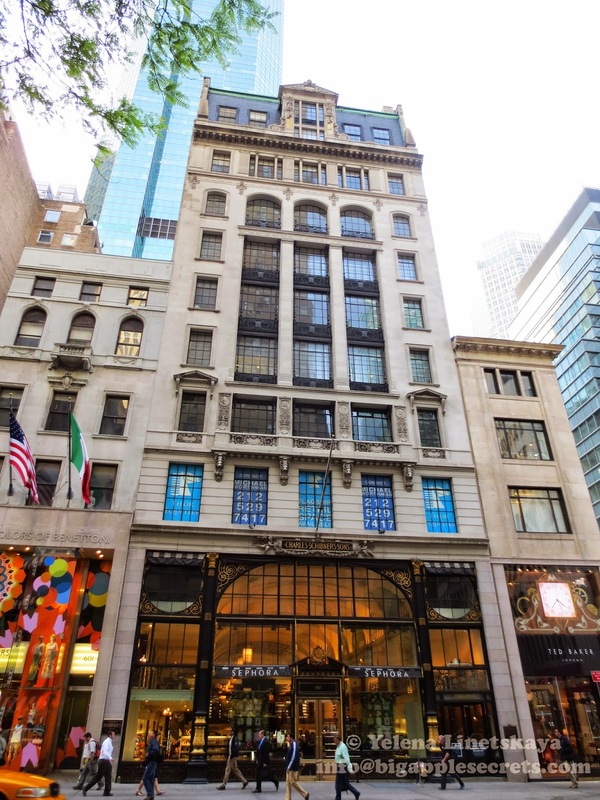 Less than two decades later, the publishers rehired Flagg--now an architectural star--to design a new space in midtown to house not only the company's headquarters but also their corporate-owned bookstore on the retail level. 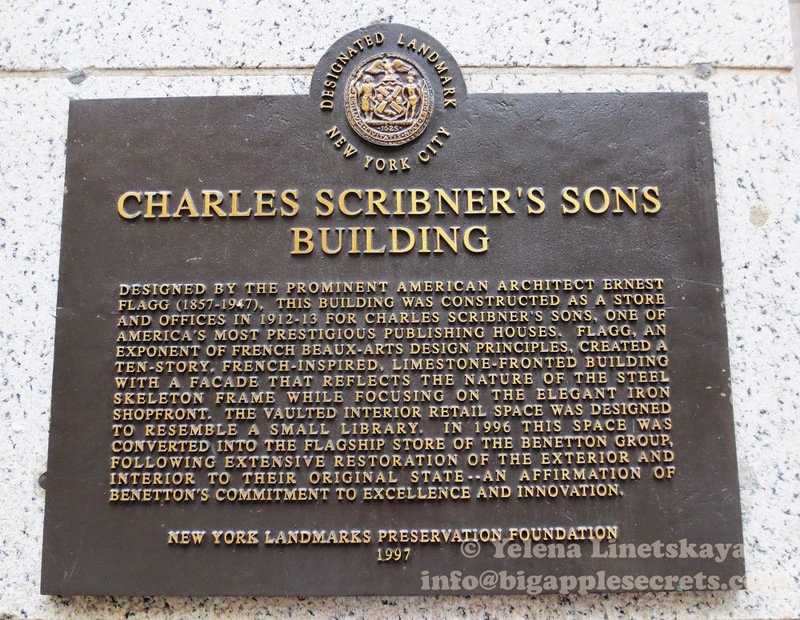 New York has long been the center of the U.S. publishing universe and Charles Scribner founded his publishing firm in New York in 1846 with partner Isaac Baker. Charles Scribner publishing house published the works of F. Scott Fitzgerald, Ernest Hemingway, Edith Wharton, and Thomas Wolfe. Scribner’s In 1984 company was purchased by Macmillan. 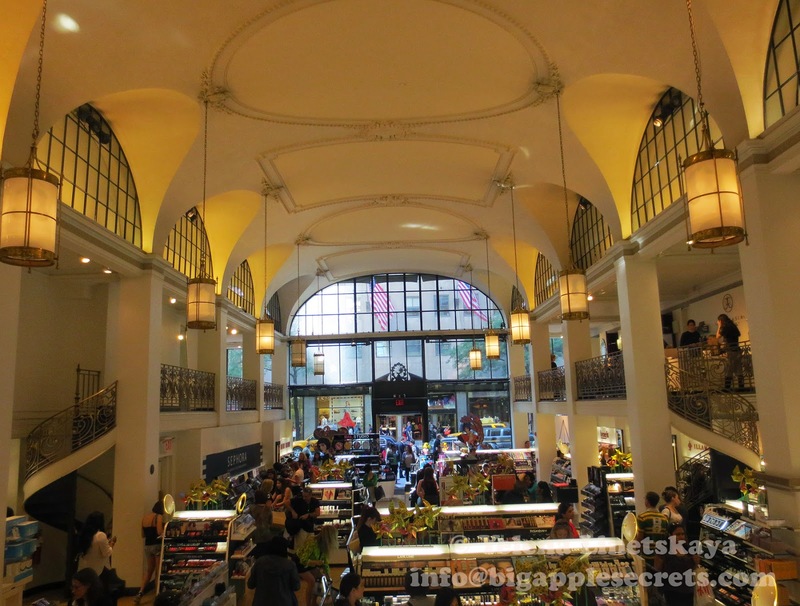 The shop on 5th Avenue closed in 1989 but its interior became an official New York City landmark. 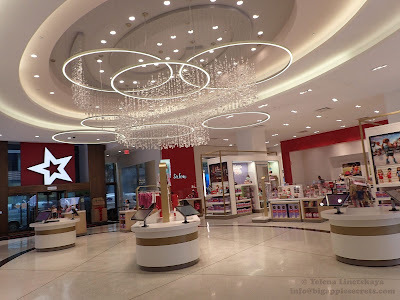 It house today Sephora, a French brand and chain of cosmetics. 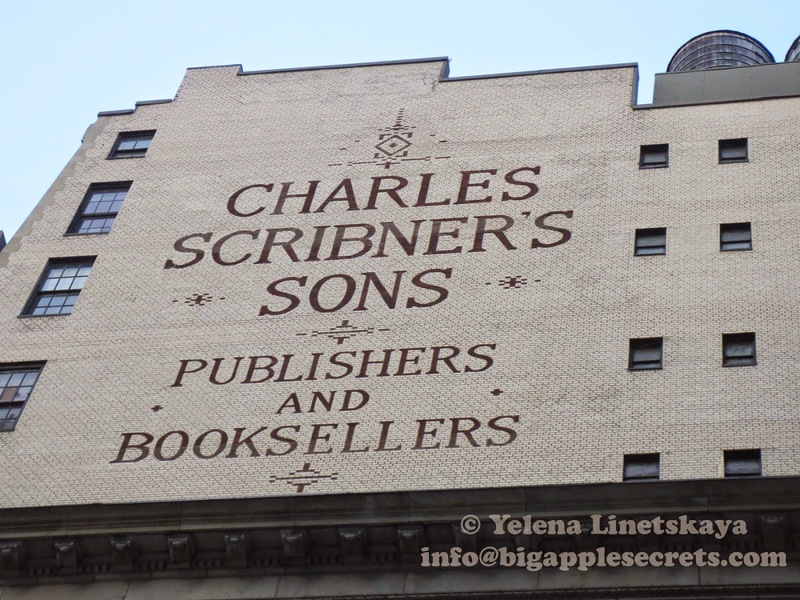 But you can still see the Charles Scribner on the top of the side wall of the building. Sephora is relatively young company- it as found in 1970. Sephora is a combination of “sephos”, which is Greek for “beauty” and the Greek form of Tzipporah (ציפורה), which means “bird” (female) in Hebrew, and was the name of the wife of Moses in the Book of Exodus. When Dominique Mandonnaud, the founder of the company, opened his first perfumery in 1969, perfume and cosmetics were hidden behind counters - buy before you try! Mandonnaud took beauty products out from behind the counters, put them front and centre. Gave customers the freedom to move around, to try, touch, smell, and freely explore. Products were grouped together by type. 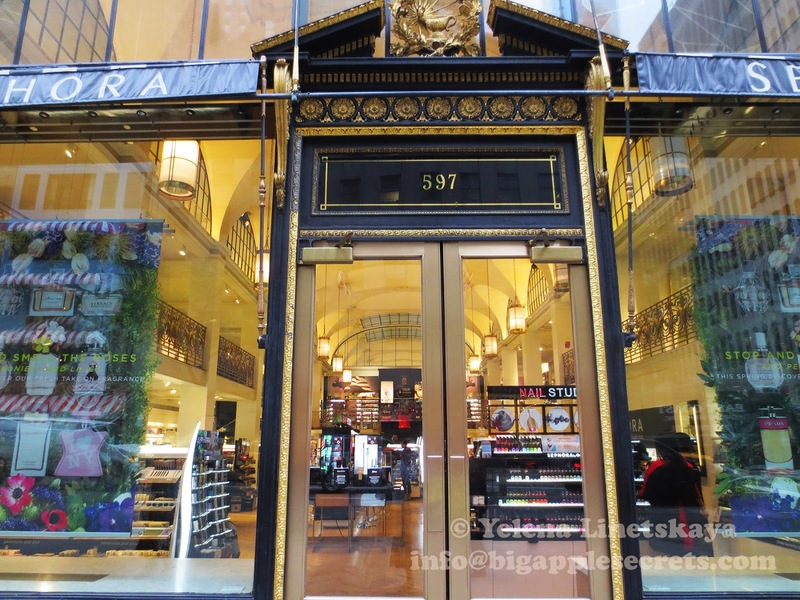 Sephora opened their first store in the United States in New York city in 1998. Today, there are more than 250 stand-alone stores in the United States.